Jeff has more than 20 years of experience working for manufacturing companies. In addition to Lean, Six Sigma, Theory of Constraints, and Quick Response Manufacturing management strategies, Jeff has first-hand experience with assembly, metal forming, welding, plastics, printed circuit layout and fabrication, paint, and wood products manufacturing processes. Prior to joining the Department of Engineering Professional Development Jeff was the Managing Member of The Continuum Management Group, Richland Center, Wisconsin. 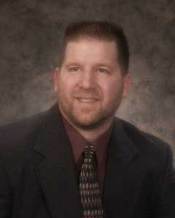 He was the division manager for supplier development at Deere and Company's Commercial and Consumer Equipment Division and was the first Operations Director for the Wisconsin Manufacturing Extension Partnership. Jeff's time working with companies baselining, planning, and executing company-wide improvement plans has provided him with in-depth experience and knowledge of critical elements associated with successful management programs and common pitfalls to avoid.